I have been doing arts for quite some time now and, of course, the JapaneseAdobo Bags. And since we are about to join an Art Mart by the end of the month, I thought of executing an idea I have been brewing in my mind for a long time now. 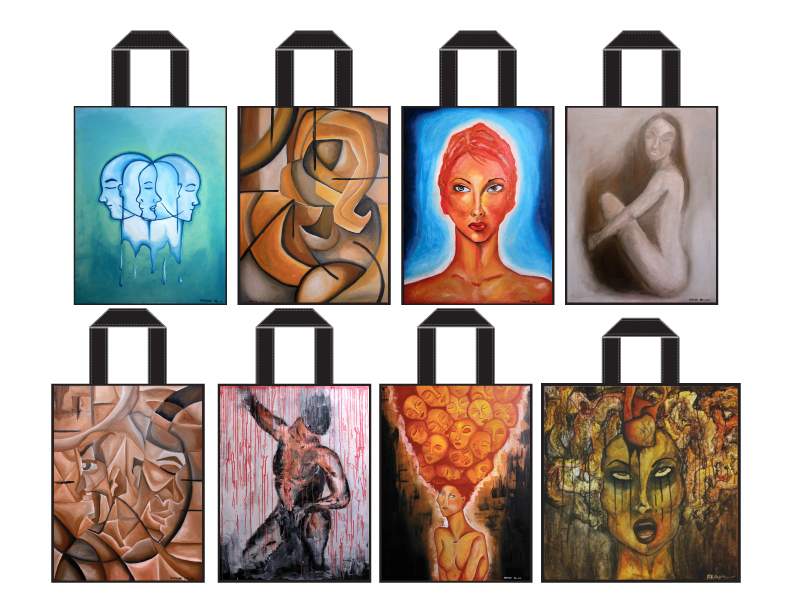 To start with, for market testing purposes, I came up with releasing an "Art Bag". I thought, what better way to do it than marry the arts and the bags, right? So for this collection, I present my Presensiya painting series. Printed out on a cotton canvas, this bag can serve as a stylish eco bag. It can be rolled for portability in case you want to carry an extra bag for emergency purposes. The limited edition Presensiya Art Bags are only available at the BGC Art Mart this coming August 31 - September 1, 2013. Please find time to check it out and go to our booth for more merchandise items featuring the bags and the art. See you!